As Myanmar’s health system evolves and health providers work towards the achievement of Universal Health Coverage by 2030, securing adequate financing remains an enduring challenge. This is particularly true for ethnic health organizations that, despite providing the first line of health services to hundreds of thousands of people in conflict-affected, hard-to-reach and under served areas of Myanmar, have not received to date any direct financing from the Government of Myanmar. 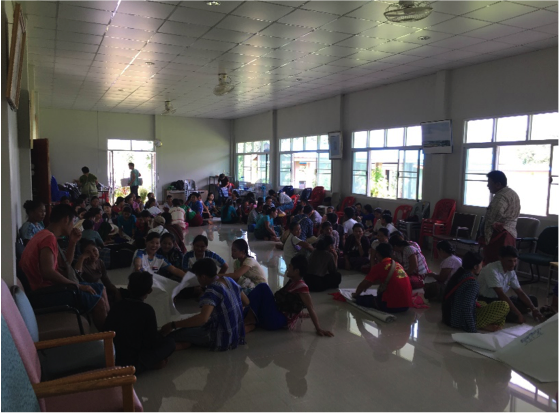 Community Partners International (CPI) is working with two ethnic health organizations in Southeastern Myanmar on a pilot project to model a new approach to health financing in Myanmar: Strategic Purchasing of health services. The intention for this pilot is to inform and guide future financing agreements, and help ethnic health service providers to secure broad, reliable and long-term financing sources to support their lifesaving work. On June 23 and 24, 2018, representatives of CPI, the Karen Department of Health and Welfare (KDHW) and the Health Department of the Border Guard Force (HD-BGF) met in Hpa-An to sign the contract for the Strategic Purchasing pilot project. 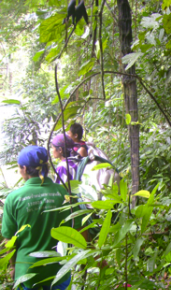 This is the first ever project of its kind with ethnic health organizations in Myanmar. Under this innovative pilot, CPI will invest in a package of primary and public health services to be provided to approximately 10,000 people living in communities around four clinics in Southeastern Myanmar operated by KDHW and HD-BGF. KDHW and HD-BGF will provide the services, organize the logistics and undertake monitoring. From this monitoring, combined with service level data and additional on-site verification, CPI will generate the evidence to evaluate whether the services have been delivered as agreed in the contract. This model of strategic purchasing gives ethnic health organizations significantly more autonomy than under more traditional granting mechanisms. It empowers them to deploy funds and resources flexibly, and to adjust their approach as the context changes, so that they can achieve service delivery objectives efficiently and effectively. It encourages better integration between ethnic health providers in resource-constrained and hard-to-reach contexts. With more decision-making power over how funds are used, they can work together to holistically identify needs and priorities, and coordinate the delivery of health services to best meet community needs. It also generates evidence of the return on investment for both ethnic health providers and donors. The data gathered during implementation monitoring will provide detailed insight into the positive impact on health outcomes achieved with each investment. This evidence will inform more rational, justified, and efficient decisions on spending, resource allocation and health systems strengthening. What’s more, it’s scalable. The Myanmar government expressly included the intention to purchase services from ethnic health organizations in the National Health Plan, 2017-2021. Understanding how purchasing from EHOs can work, including the challenges and opportunities it presents, can (and should) feed directly into national health policy. If successful, the project can provide a blueprint for future financing agreements between ethnic health providers and the Government of Myanmar. This would represent an important step forward in aligning health services and systems while maintaining the autonomy of ethnic health providers, and active cooperation between these stakeholders, all of which will be crucial in the shared goal to achieve health for all in Myanmar. As this Strategic Purchasing pilot project moves forward, CPI will be producing regular Learning Briefs and hosting seminars to inform and engage interested parties with progress and lessons learned. This initiative is funded as part of CPI’s ‘Better Health Together’ project supported by the Swiss Agency for Development & Cooperation (SDC) and the Three Millennium Development Goal (3MDG) Fund. As Myanmar’s health system evolves and health providers work towards the achievement of Universal Health Coverage by 2030, securing adequate financing remains an enduring challenge. This is particularly true for ethnic health organizations that, despite providing the first line of health services to hundreds of thousands of people in conflict-affected, hard-to-reach and underserved areas of Myanmar, have not received to date any direct financing from the Government of Myanmar. 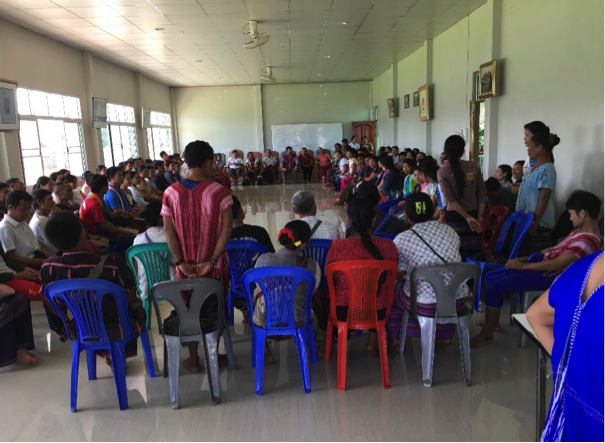 Community Partners International (CPI) is working with two ethnic health organizations in Southeastern Myanmar on a pilot project to model a new approach to health financing in Myanmar: Strategic Purchasing of health services. The intention for this pilot is to inform and guide future financing agreements, and help ethnic health service providers to secure broad, reliable and long-term financing sources to support their lifesaving work. Donations are always welcome. KDHW needs financial support – the department organizes funds and provides the health care for over 100,000 internally displaced people in Karen State inside Burma. 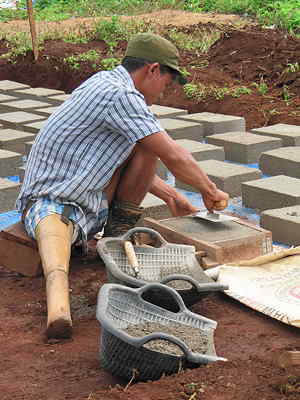 Costs are covered by donations, small grants, and donated labour. The department serves the public health by its efforts to reduce mortality due to malaria and trauma, including landmine injuries, and to reduce the spread of disease and infection. 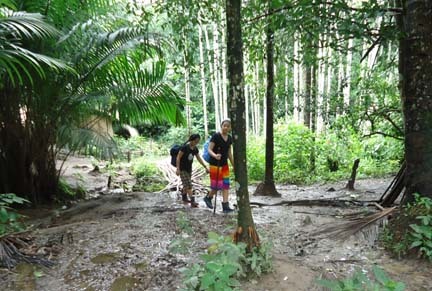 The Karen population would otherwise have no access to public health care at all, because the national government provides no services to the Karen. Your generosity is very much appreciated. 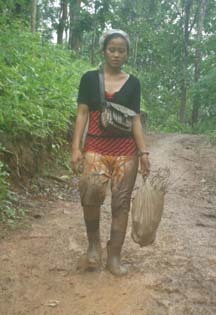 Karen Department of Health and Welfare (KDHW) has a history for long time and efforts in working in Karen state. However, at first to support health in communities and recently few years had an idea to given equal rights to education, jobs, credit land can benefit from as well as to contribute to prosperity with health in Karen state and activities expanding conduct. It’s have collaboration and partners to variety of situations form large teaching hospitals to health care facilities and professional experience from many place. Then building local capacity and strengthening health supply chain to updating national drugs regulation. Even though KDHW is an programme design and development of policies including the world health organization and also international email discussion forum on essential partners. KDHW held a Village Health Committee (VHC) meeting/workshop on Oct 10th, 2017 at Taw Nor Teaching hospital, Kawtareet township, Doo Pla Ya District. The purpose of the meeting was to raise the awareness to village health committee for the participation regarding health promotion activities and emergency response such as referral of pregnant women as well as other emergency cases. 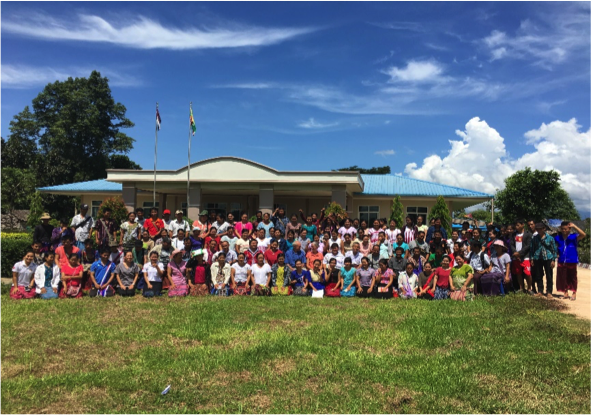 Participants were leaders from Karen Department of Health and Welfare from central, District and Township levels, Village health committee and others key leaders from the villages, about 100 people. During the meeting/workshop, participants were divided into groups trying to identify what are the common diseases happen in their area and where do they refer patients for emergency cases. They also worked out the benefits they received by organizing Village Health Committee and the challenges they faced in their work. In addition, participants were asked to provide the feedback and suggestion in order to operate the Village Health Committee more effectively. According to the groups’ work, the most common diseases happening in their areas are respiration tract infection, malaria, dengue, gastritis, hypertension, hypotension, diabetes mellitus, arthritis and diarrhea. For emergency cases, usually they refer the patients to Kawkareik hospital, Hpa-An hospital, Mawlamyine hospital, Myawwaddy hospital, Mae Sot General hospital as well as Mae Tao Clinic. Medical treatment costs in Government hospitals and Mae Sot general hospital are very expensive. The average cost for normal delivery are around 300,000 kyat and 500,000 kyat for caesarean. The treatment cost for general diseases are different depending on different diseases and severity of the diseases. 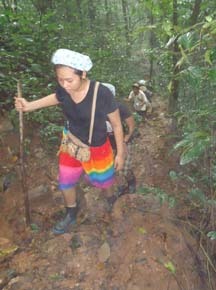 Medical treatment at Mae Tao Clinic is free of charge, however transportation costs for the patient are not provided. 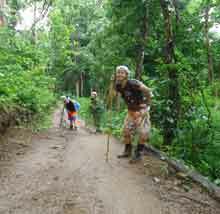 Villagers are divided into three groups which are poor, medium and rich. The estimated average of the rich people are 14 percent, medium are 42 percent and poor are 44 percent respectively. Feedback from the Village Health Committee suggested that KDHW needs to provide adequate medicines for the clinics, increase health education activities to the villagers, provide better health care especially for mothers and children and organize monitoring and evaluation activities. They also suggested that KDHW needs to appoint medical specialists as well as hire enough staff for Taw Nor teaching hospital. Moreover, they recommended that fundraising activities are required for patient referral and ambulance bus for emergency cases, which are not affordable with the KDHW current situation. KDHW is pleased to provide an updated KNU Policy for Humanitarian Assistance (June 2014) in Karen, English and Burmese languages. See the Policy Statements page. KDHW is pleased to provide an updated Health and Welfare Policy (Feb 2013) in Karen, English and Burmese languages. A new KNU Policy on Humanitarian Operation in Ceasefire Zones (March 2013) is available in Burmese and English languages. See the Policy Statements page. The KDHW 2011 Annual Report is now available online. See the Annual Reports page. The quality improvement (QI) program has been recently created to improve the skills of health workers in the clinics. The team has six members including 2 men and 4 women. Three people went to visit Dweloe township to check on quality, review logbooks, collect surveys. They also observed and treated patients according to BBG guidelines. Three conditions were the focus: diarrhea, malaria and acute respiratory infection. We are pleased to let you know the KDHW web site has been updated in early 2012 with the latest information on our programs and partners. This is first major update we have completed over the past two years. Pages have been added for Gender Based Violence, Lymphatic Filariasis, Targeted Feeding and Vitamin A and Deworming. See the PROGRAMS link at the top of the page or the sidebar listing of all programs. You can now FOLLOW the KDHW web site to receive news alerts by email. This feature alerts you when to check for changes to the web site. Simply register by clicking the FOLLOW button on the top right of the page and then confirming the link you receive in your email. We have also added a comment form on the About page so you can contact us directly. 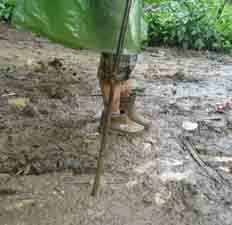 Landmines continue to cause injuries and death for people who live in eastern Burma. Villagers are maimed, injured and a signifiant percentage of those who are injured are fatally wounded. Those who survive no longer have the means to support themselves and their families. 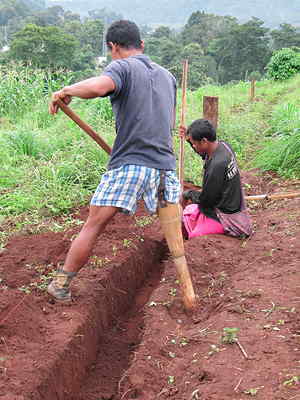 Most victims were farmers and are not able to continue to do agricultural work after their injuries. The first aim has been achieved for most of the trainees. Additional workshops will be conducted to assess what is feasible for the other objectives. Further training in business skills and start up funding are also needed to assist victims to start a business and a new way to earn income. Supplies are transported to mobile clinics.